Summary. The article considers the legal regulation of activity of stock exchanges in Ukraine. Lit institutional and legal framework for activities of stock exchange in Ukraine, implemented the achievements in reforming legislation to address deficiencies and gaps in such regulation. 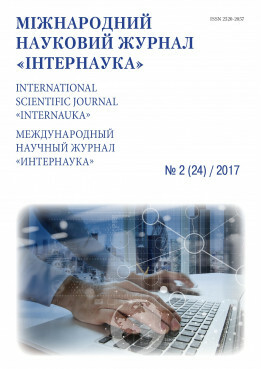 The scientific and regulatory basis of the article is the current legislation of Ukraine, scientific publications, legal manuals and other sources. The efficiency of legal regulation of exchange relations in the country is an indicator of a civilized market infrastructure of the state, always promotes economic growth and welfare. Discloses the main problems which slow down the development of exchange activity in Ukraine. Key words: stock exchanges, stock exchange, stock exchange, securities.